With our work lives speeding up towards more — more responsibilities, more people to manage, more time at the office — we get overloaded with information. Naturally, we can only read so much text every day to deeply understand the problem at hand. That’s why well-designed imagery has been on the rise in the last decade or so. And there is no more popular visual editor than Microsoft Visio. Microsoft Visio makes it easy to produce all the diagrams and workflow visualizations your team requires. You can collaborate with other people in real time to create organizational charts, engineering designs, and floor plans, which could also adapt based on live data you have available. The software is widely used by structural engineers, project managers, business analysts, and executives of all kinds. Unfortunately, there are two problems with it: Microsoft Visio for Mac is not officially available and, if it would be, its license costs well over $500. So if you and your office work predominantly on macOS, what do you do? Luckily, a good Visio alternative for Mac does exist, even a few! And more impressively they are much cheaper than the original software. What Is A Visio Equivalent For Mac? While Visio sets the bar up high for any alternative on Windows, its long-time absence from macOS has resulted in some strong competition from smaller independent startups. Apps like MindNode, XMind, and iThoughtsX have largely captured what would be MS Visio for Mac market share. For good reasons. All three apps provide mind-mapping features that aid the confident decision making. At the same time, each one is different enough that they can be used in combination, depending on the goals you have in mind. Sometimes you just want to put your thoughts down on (digital) paper. You don’t need complicated schemes and you’re not planning to present to the Board just yet. These are the times when you should fire up MindNode. 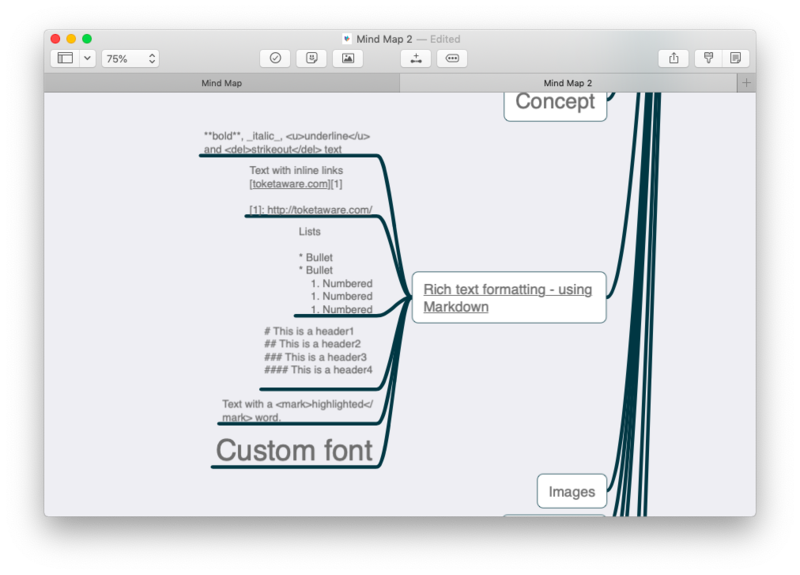 MindNode is a simple but delightful mind-mapping tool. It acts as the perfect Visio for Mac OS equivalent for everyday tasks, as it’s much more nimble at creating something quick. Use the Quick Entry feature in your menu bar to put together images, words, links, and the connections between them, and MindNode’s Smart Layout will adjust your thoughts to become more readable and beautiful. When you’re done, swiftly send the resulting file as a text outline to print or another more advanced app that will perfect what you’ve started. 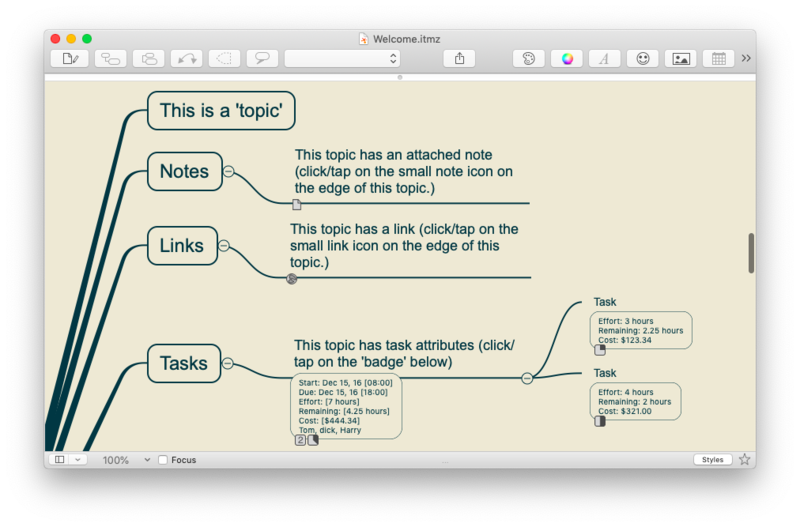 Just remember that MindNode excels at visualizing your initial ideas and doesn’t pretend to be an all-in-one tool. Working with teams tends to get exponentially complicated. While three can do a stand-up meeting to catch up, seven need some sort of a written process in place, and ten or more would certainly benefit from a dedicated project manager, whose job is in part to design effective workflows for the company. XMind is your project manager’s best friend. The app not only allows you to create mind maps of any complexity, it also lets you transform them into Gantt charts to clearly display the resources each task would require and its timeline. Finally, with a quick glance, you can see where your team is overcommitting and where they could pick up the slack. Good news is you don’t even have to design something from scratch. 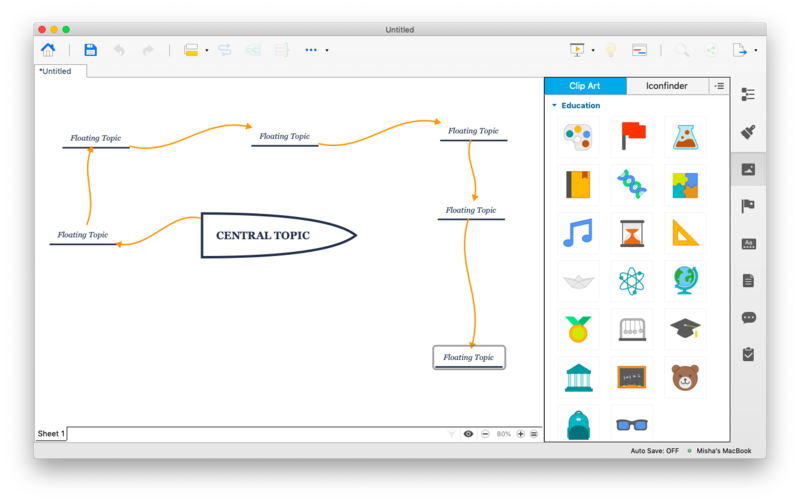 A wide variety of templates for every business function makes XMind an essential Visio alternative for Mac that gets you up and running in no time. In addition, XMind makes it effortless to present your plan to upper management, as the app features more than 60,000 icons to help you design outstanding maps and charts, and then turn them into slide-based presentations, perfectly fitting for any audience. If your team is used to constantly stretch the possibilities of Visio, working with all of its features in some capacity, or even when you just need to up your game once in a while, a true Visio Mac alternative might be necessary. Look no further than iThoughtsX. iThoughtsX enables you and your team to organize ideas, create task lists, brainstorm, plan ahead, set goals, write down meeting notes, and much more. No concept is too grand for iThoughtsX, which makes it a perfect Visio for Mac OS app choice. It’s easy to integrate iThoughtsX into your team’s workflow, as it lets you import files from all other popular visualization apps such as XMind, ConceptDraw, Scrivener, Excel, and all types of text including Markdown. More importantly, it also lets you export to widely used Microsoft software like PowerPoint, Word, and Project, as well as PDF, PNG, and HTML. Your team will immediately love iThoughtsX because of how well this Visio Mac alternative plays with the operating system. It features instant cloud synchronization via iCloud or Dropbox, can be edited simultaneously on Mac and iPhone, and looks gorgeous on retina screens. Even given the three popular options of Visio alternative for Mac above, it’s a quite difficult choice. Think of it this way: MindNode is a perfect app to start your new idea, get it out of your head, and maybe show someone on your team. XMind is a robust planning tool that can take on a complete organization of your team’s processes, from brainstorming as a group to allocating time and resources. Finally, iThoughtsX is king of all, a true Visio equivalent for Mac that could match it on every level and then add some. It’s a heavy-hitter and should be used in that way, when you really need that extra power. Best of all, MindNode, XMind, and iThoughtsX are available for a free trial through Setapp, a platform of more than 130 Mac apps and tools that are created to solve specific business problems across all categories. Look through its catalog now and shave off inefficiencies from your processes in no time!